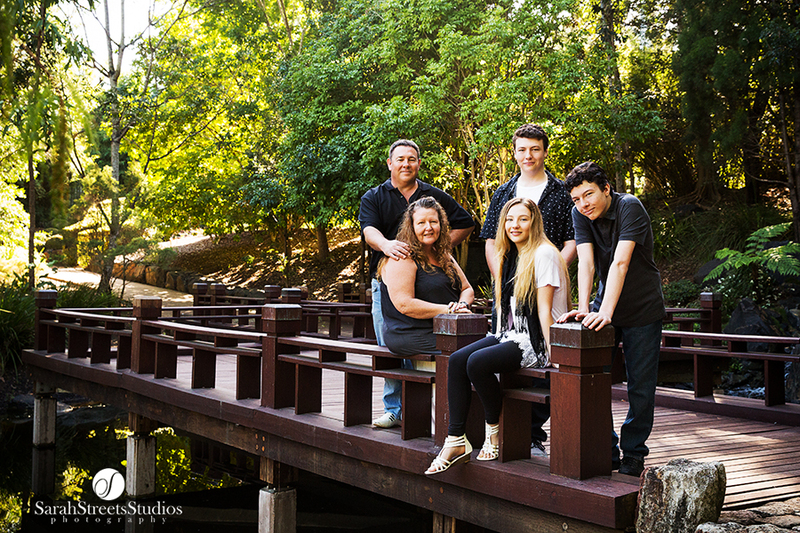 If your family is growing up too fast, then you should schedule a family photography session in Brisbane soon. Many families have their photos taken when they’re welcoming a new family member, celebrating a special occasion or having a family reunion. Regardless of what your reason is, arranging the occasion and ensuring that you get great-quality and meaningful keepsakes as a result can be a challenge. As a professional and highly experienced photographer, let me share with you some foolproof tips on how to master your family photography session in Brisbane like a pro. Choose the entire family’s outfits carefully. One of the biggest factors that affect the quality of family photographs is clothing. Since there are many subjects in the photos, there should be some coordination in the clothes that your family members wear. With this, I do not mean matching clothing, but clothes that blend well together, especially when captured in a photo. In my experience as a Brisbane family photographer, I find that the easiest types of clothing to work with are those with neutral colours and light, flowing fabrics. When it comes to colour, choose a combination of pastels, tans and other light hues of brown, grays and light shades of blue. However, clients are always free to add bold colours if they feel that these match their family’s personality better. The best bold colours to use as accents are yellow and bright red, which can be nicely toned down by hues of light colours, like gray. My top tip would definitely be to stay away from clothing that is patterned with florals, stripes or spots and also clothing that has large logos on them as this can be distracting in the photographs and we want to photograph on your emotions and faces in the photographs not the patterns in your clothing. Make sure everyone’s in good spirits. It may be tricky to schedule a family photography shoot. While the weather in Brisbane can accommodate us at practically any time of the day, I suggest choosing a time that your children, especially younger ones, are likely to be in good spirits. Steer clear of their nap time and bedtime. If you choose an accredited and experienced photographer, such as myself, you can be sure that you’ll get great quality photos no matter what time of the day it is. In my 8 years of offering family photography in Brisbane, I have done shoots with the sunrise or the sunset as a backdrop and have given my clients great results either way. Another way to ensure all members of your family are in a good mood for the shoot is to feed them beforehand. It helps to have healthy snacks on hand or to schedule the shoot before dinnertime. If there’s a baby in the family, be sure to work around his or her feeding time. Finally, don’t forget to talk to all members of the family, especially the dads, to be cheerful participants during the shoot. It is important that everyone’s on board, so there’ll be only bright smiles in your photos. While some members, commonly the dads, dread photo sessions, it helps to explain to everyone how important it is to have family photos to keep and treasure for the years to come. When you schedule your family photography session, don’t forget to include the time it will take for you and your entire family to get ready. So you wouldn’t have to rush around before the shoot, give yourself plenty of time to get your hair and makeup professionally done and to give the kids a bath. Remember that if you are rushed and frazzled prior to your shoot, it will certainly affect the quality of the photos you get at the end. To make things easier for my clients, I always suggest that we do the shoot in their own homes. This will not just make the kids feel more relaxed, but will also save you from the need to prepare a lot of props and accessories. I suggest simply incorporating the activities you already have on hand in your home, like your favourite board game, your favourite ice cream, your kids’ favourite books, your cosiest blanket and so on. This will not only take a huge load off your shoulders, but will also make your family photos more meaningful for everyone. Make it fun and spontaneous. In their desire to get portrait-quality photos, I’ve experienced some mums to be very strict in the shoot, asking everyone to look at the camera at the same time and flash bright “cheese” smiles. But this does not have to be the case. As an award-winning photographer who offers in family photography in Brisbane, I can assure you that more natural photos that show you and your family having genuine fun will always look better on your walls. The photographs my clients have adored the most are those that show members of a family interacting with each other – laughing, giggling, embracing, jumping, playing and snuggling. These photos show true emotion and bonding, and are much more favoured than overly posed portraits that look staged and unnatural. Also, if you choose an experienced professional photographer, you can be sure your family’s most natural smiles will be captured. I make sure to be quick with my shutter so you won’t have to hold awkward “cheese smiles” during our shoot. Get everyone in the photo. Do you have a big family? If so, it will take some creativity to place all members of the family within the frame without making the photo look crowded and awkward. Talk to your photographer about this. In my experience, when taking photos of a large family, I make sure to come prepared with the necessary wide-angle lens. It’s a wonderful experience to have a family photo taken of the entire family. Photo shoots often serve as great bonding moments for families, and the resulting photos give everyone great memoirs to treasure. Preparing for your family and choosing the right photographer will help you handle your family photography session like a pro. If you are looking for an experienced photographer who specialises in family photography in Brisbane, look no further. Just contact me, Sarah Streets, and we’ll talk about how to make beautiful mementos for your family.